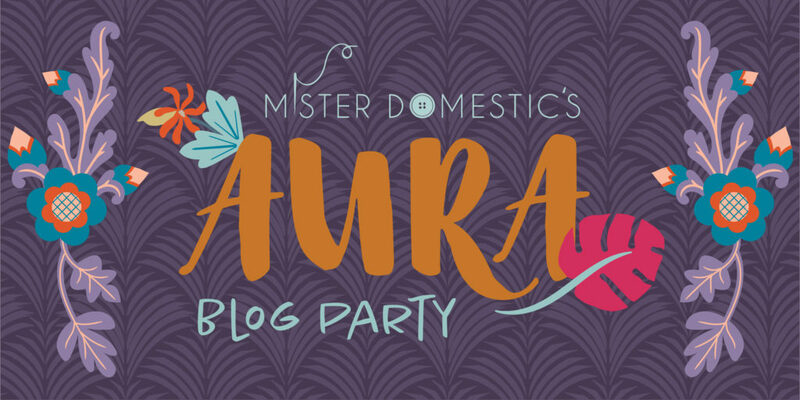 Today is my turn on the Mister Domestic Aura Blog party! 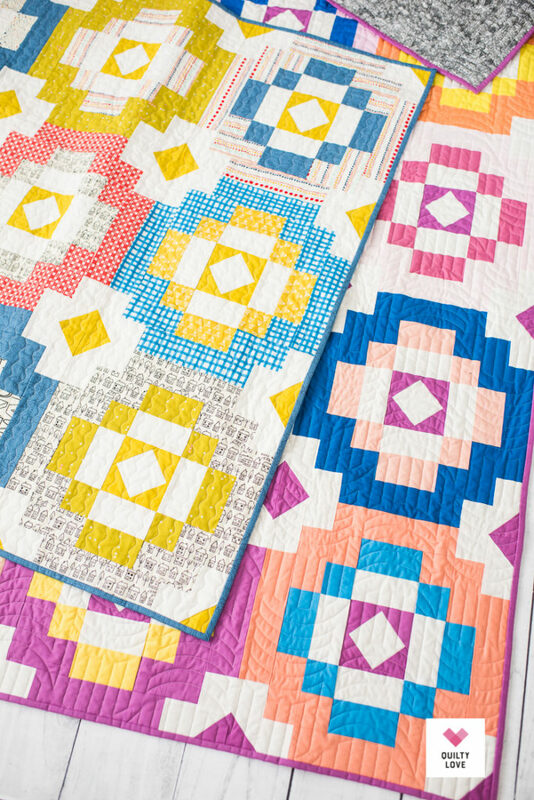 Mathew’s new line with Art Gallery fabrics is a good one! 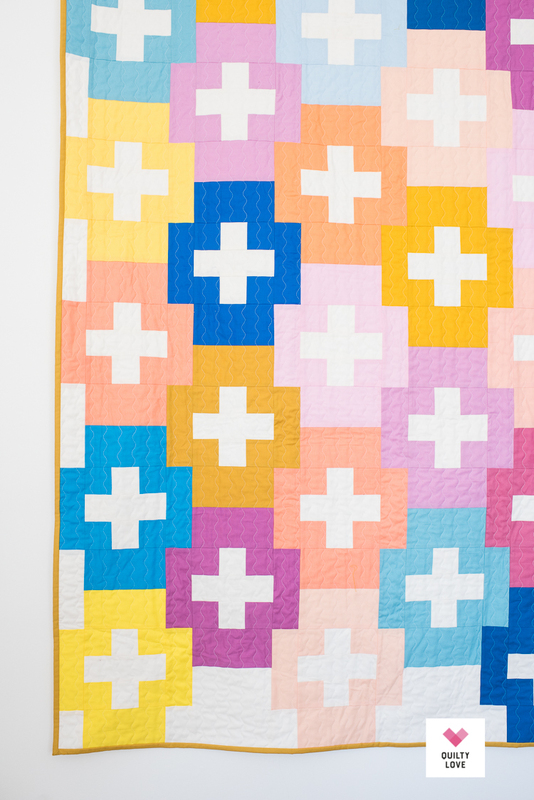 It’s full of pretty colors and fun little motifs inspired from a trip he took to Hawaii. 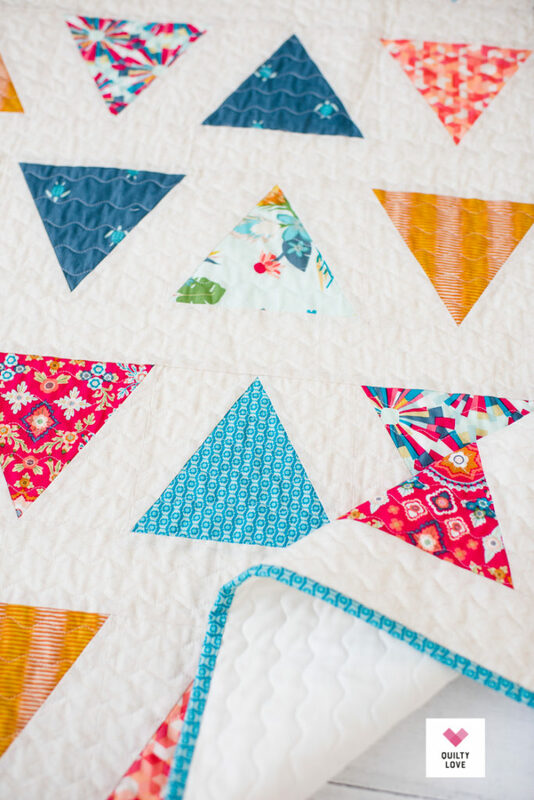 Can you spot the sea turtles??! 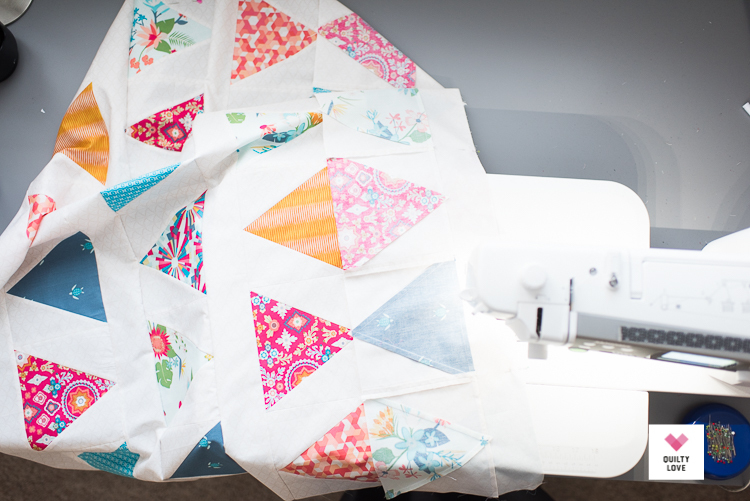 I made my Triangle Pop quilt pattern using these beautiful fabrics. 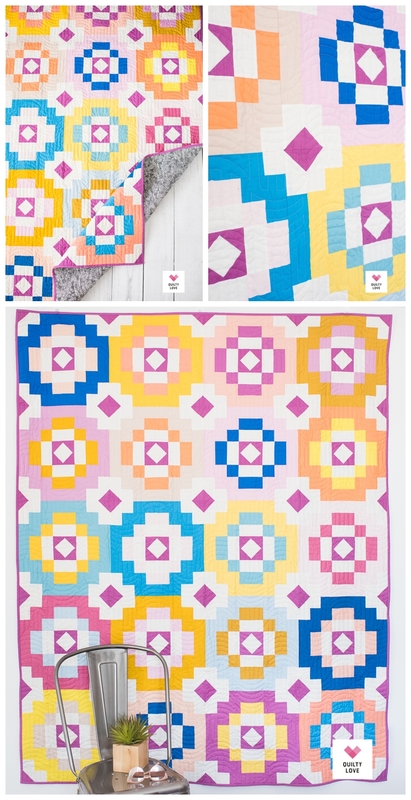 I chose some of my favorites from the Aura fabric line and made the cutest triangle baby quilt. 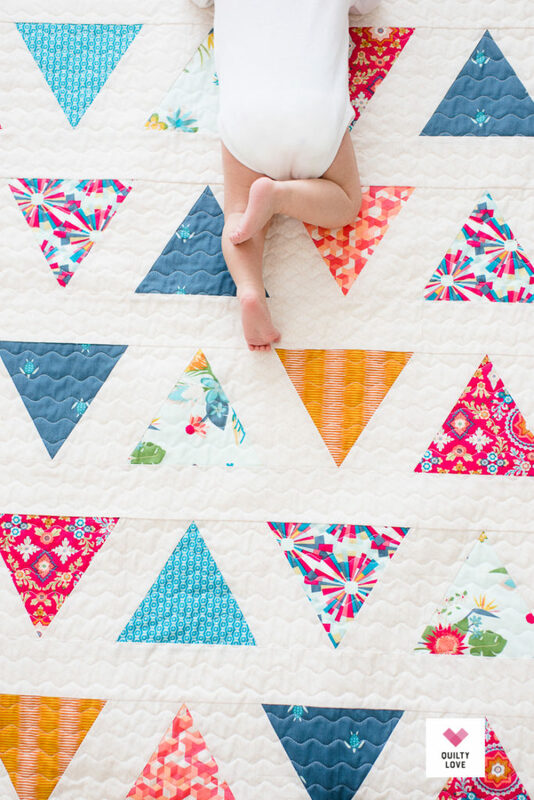 Triangle Pop was a good choice for this project because it sews up fast and with the new babes time is a little limited these days. 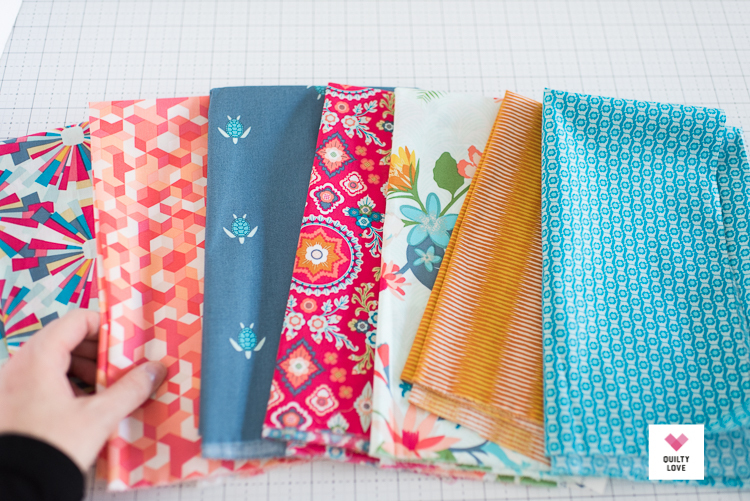 I also chose it because it features the fabrics so nicely and I wanted each fabric to stand out. 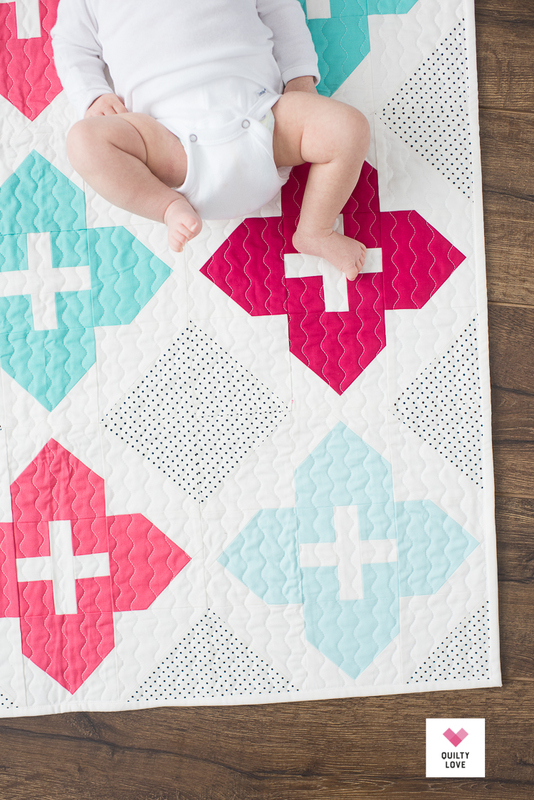 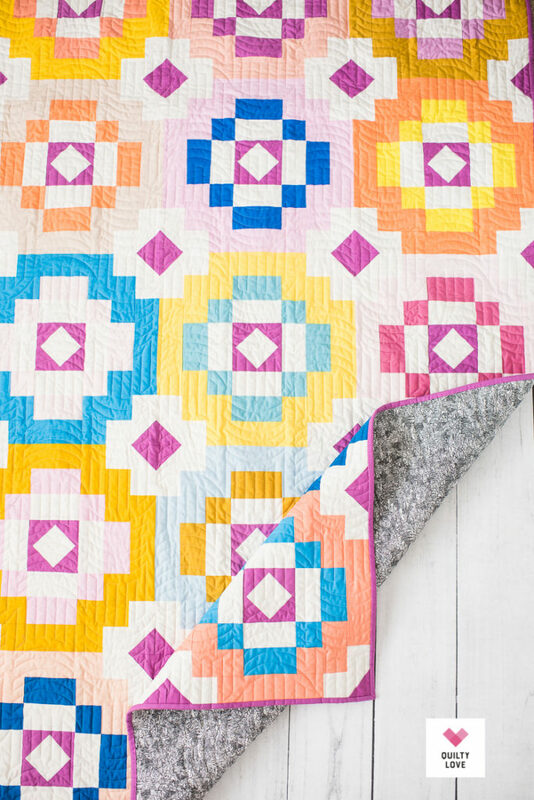 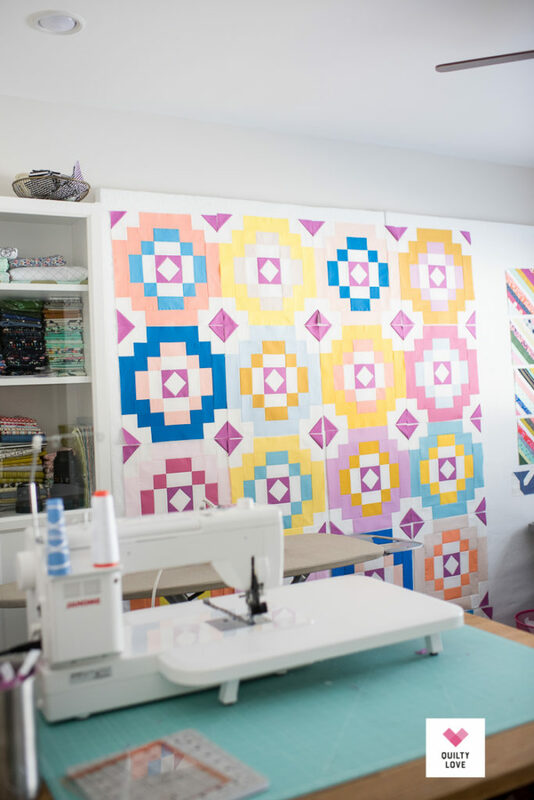 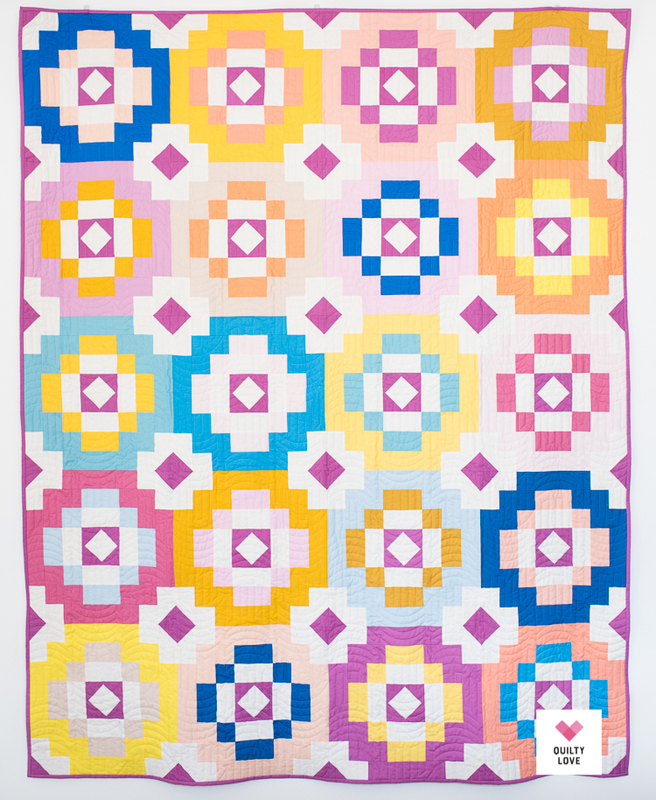 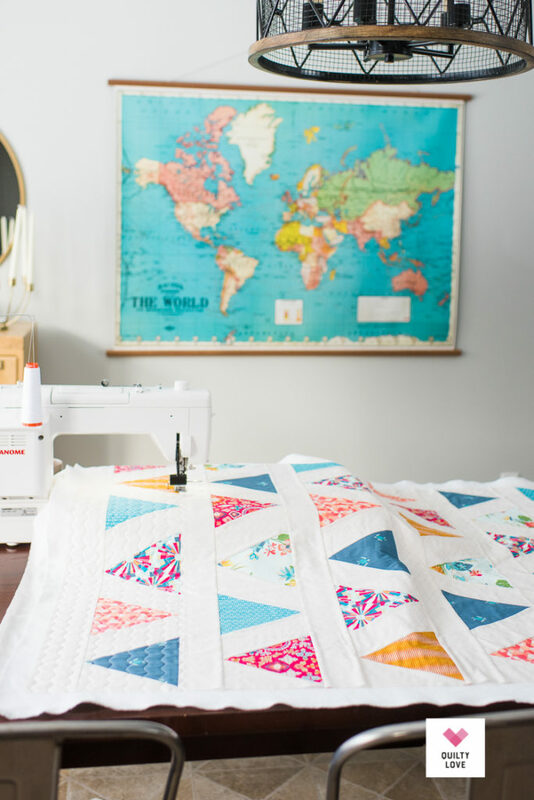 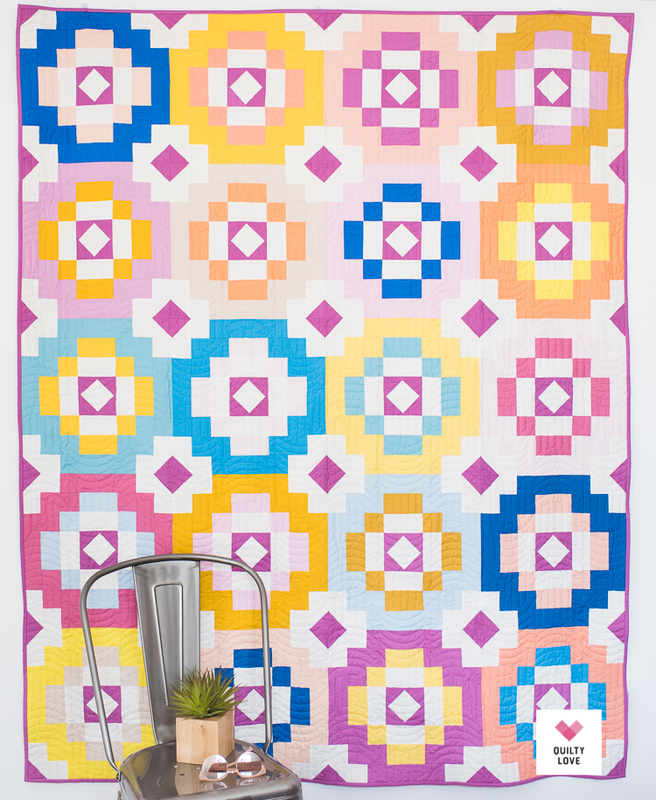 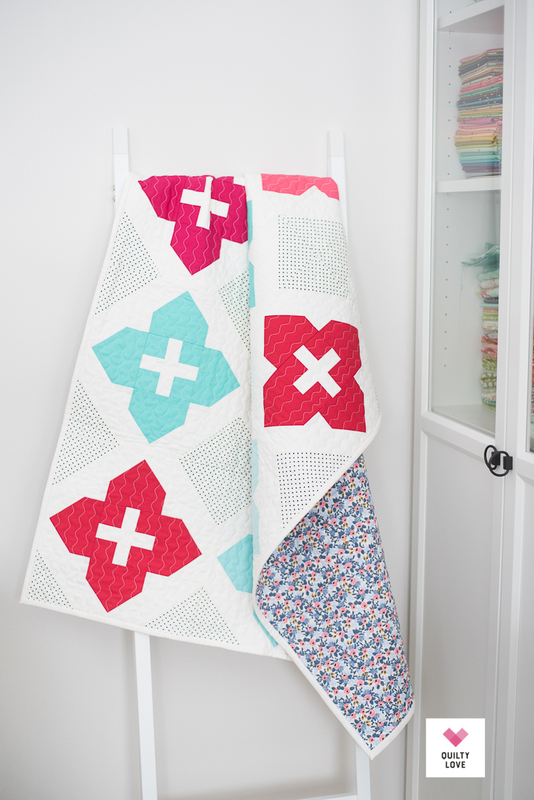 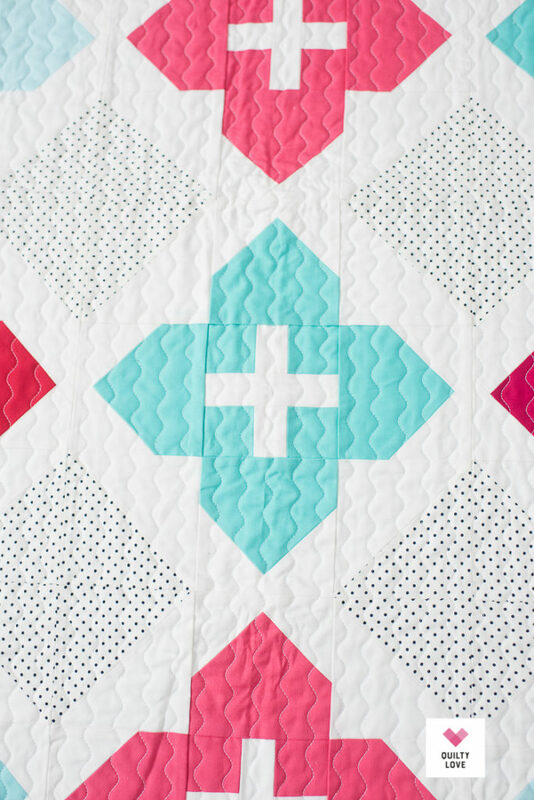 This Triangle Pop Aura quilt was quilted up using my favorite curvy stitch. 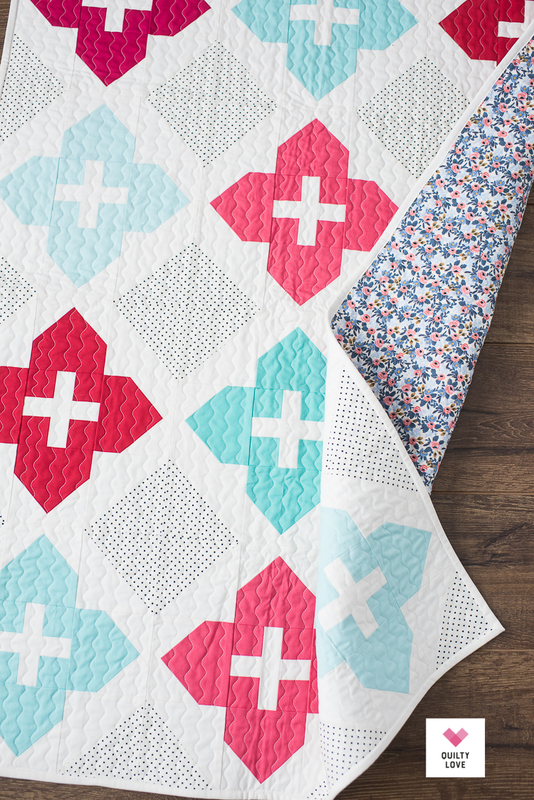 It’s backed with a simple creamy solid and finished off with a bright blue binding. 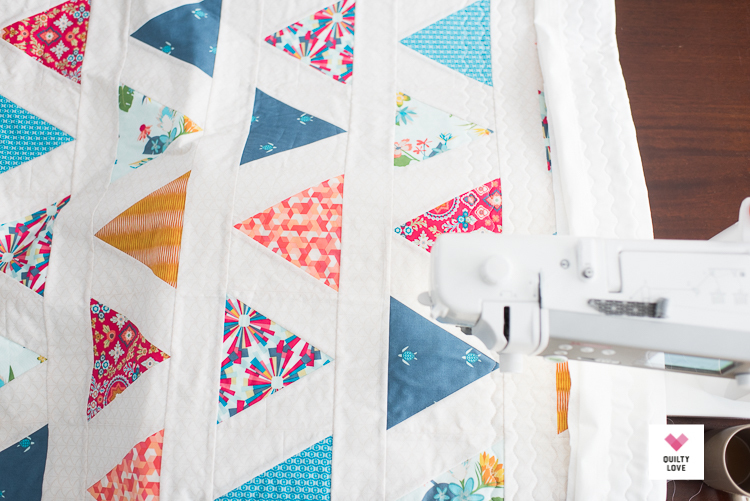 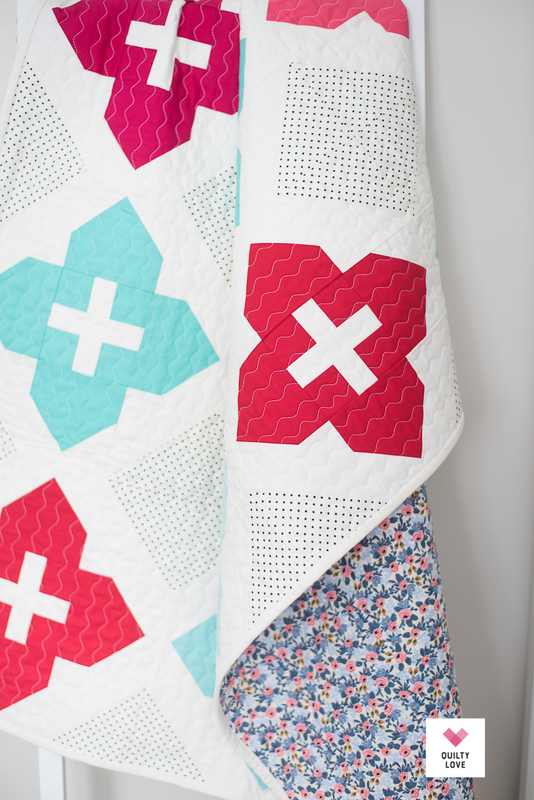 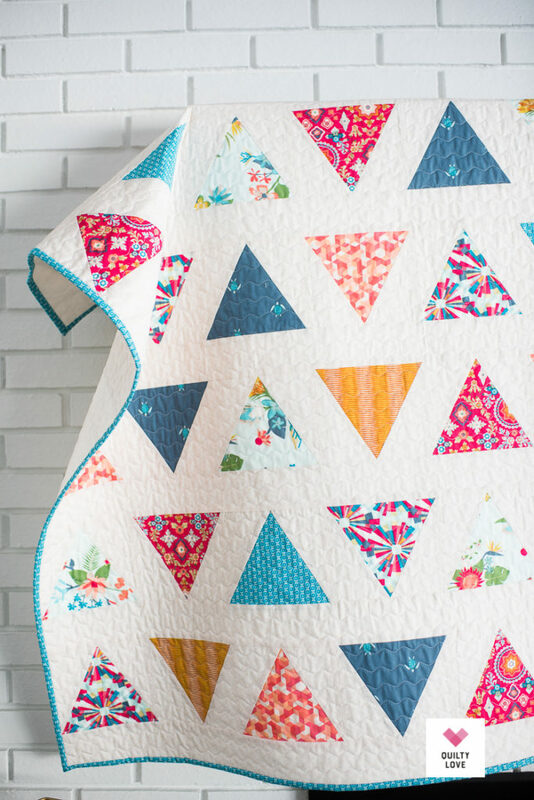 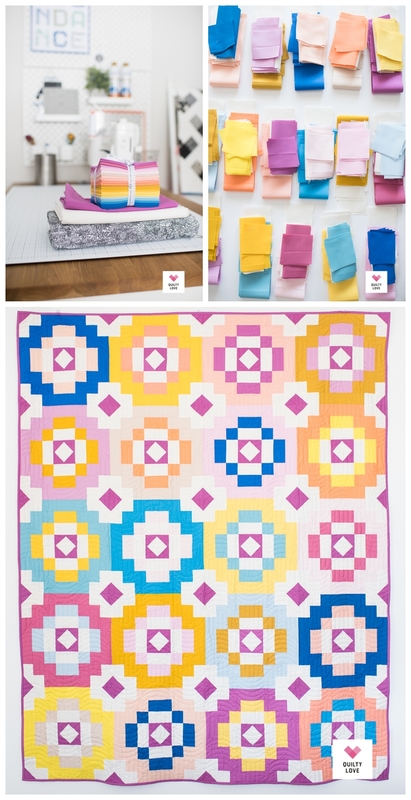 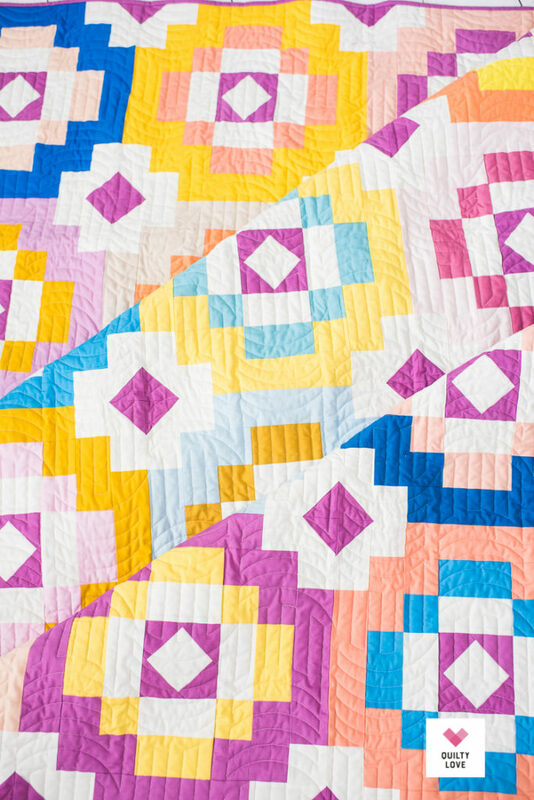 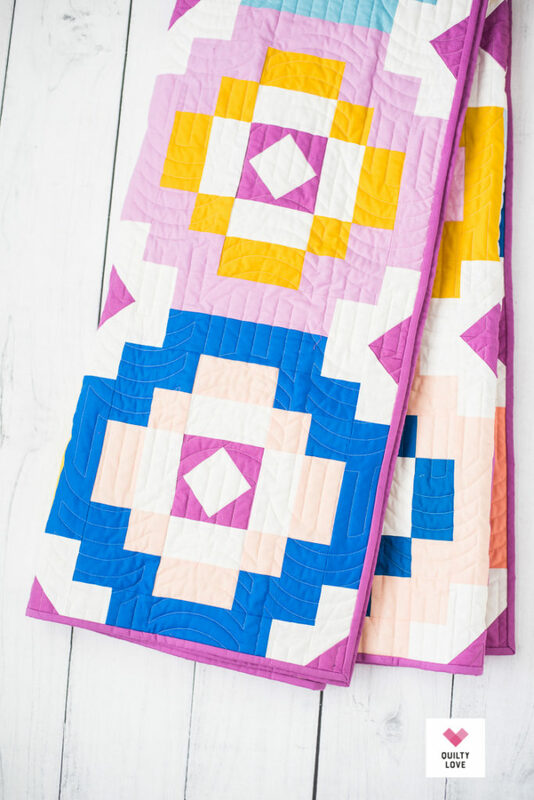 Triangle Pop is a pretty quick and easy triangle quilt pattern. 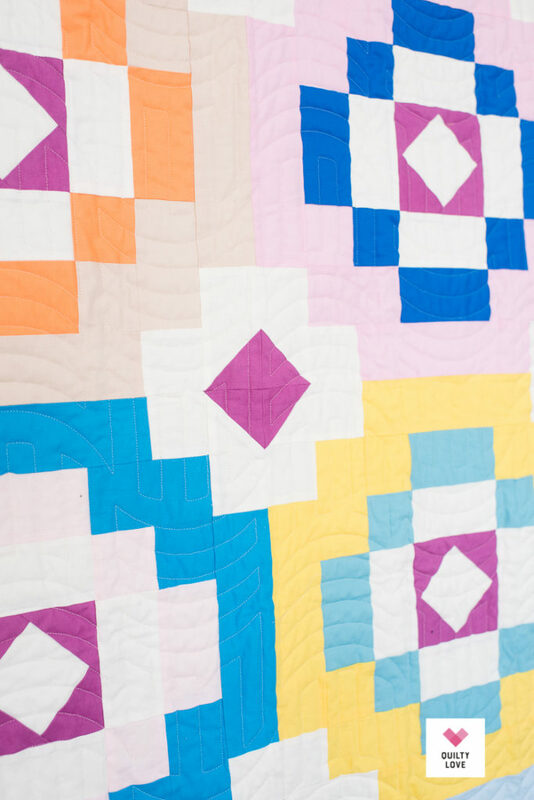 It uses a 60 degree triangle and traditional piecing. 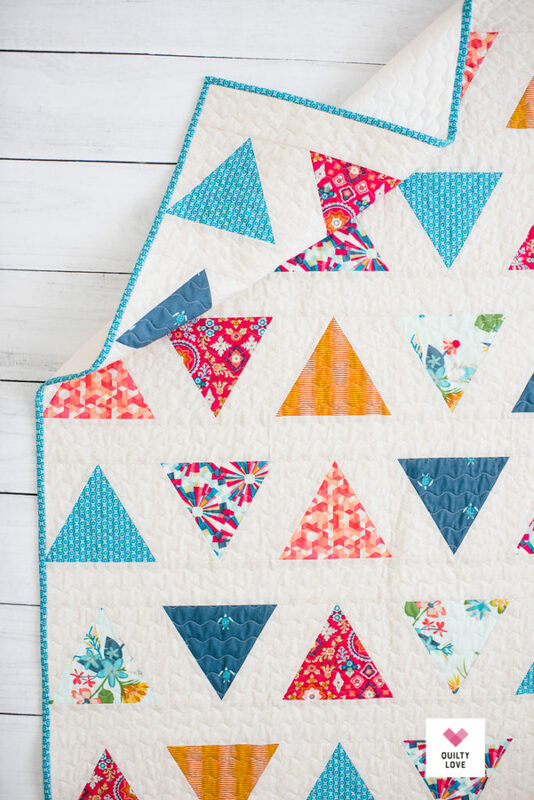 It’s a good entry to sewing with triangles. 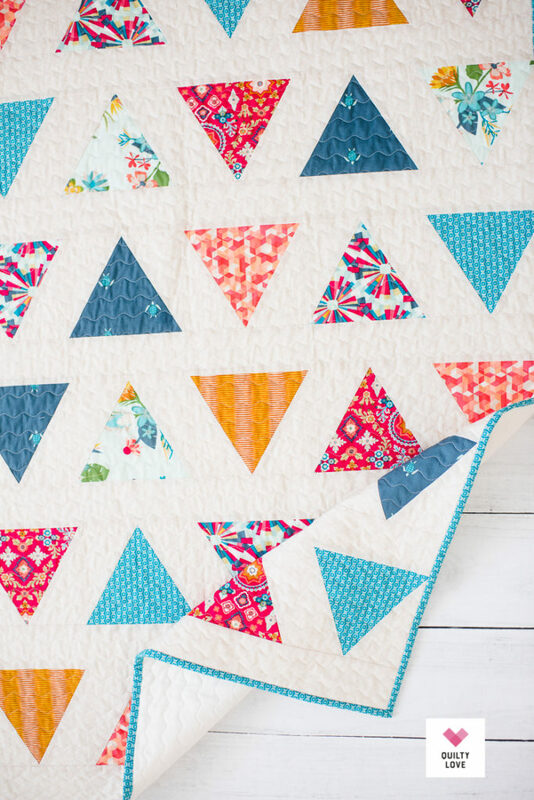 I recommend a triangle ruler like this one but a template is provided with the PDF pattern. 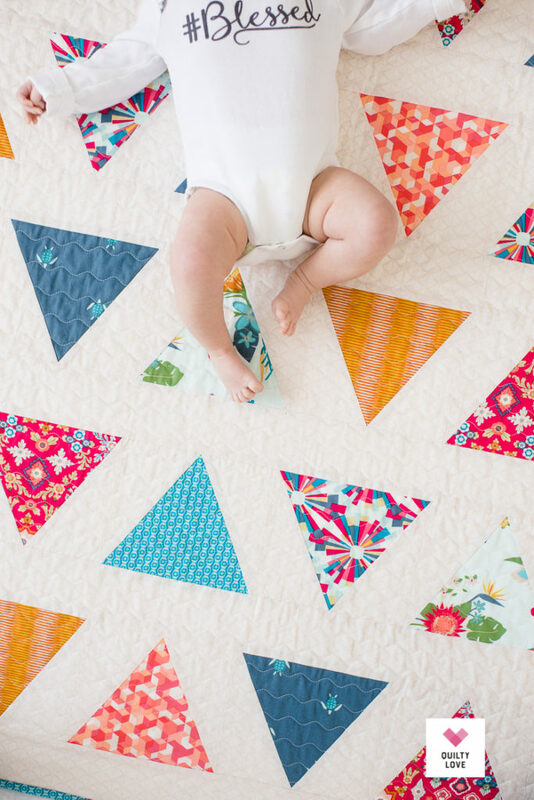 I’m not sure I can photograph quilts anymore without using the babes as a quilt model ;) Here she is making her appearance ;) I should have made this a throws size instead of a baby size because the teenager is wishing it was hers. 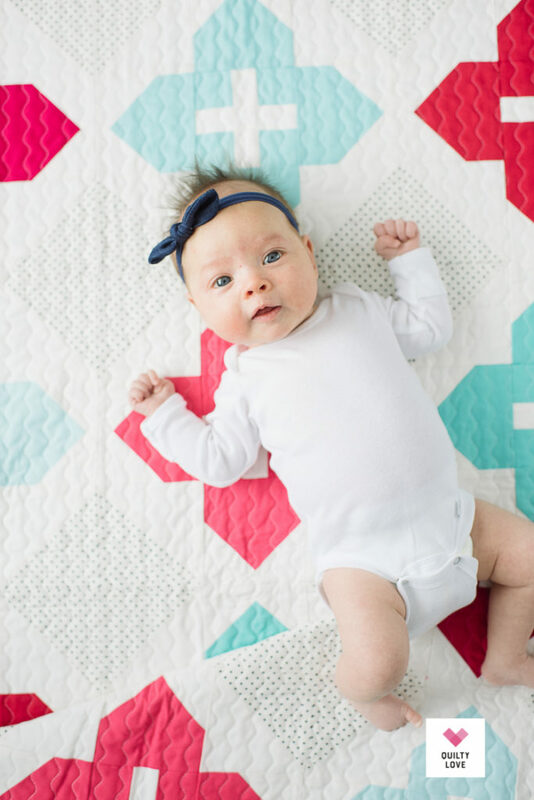 She’s a fan of the Aura fabrics. 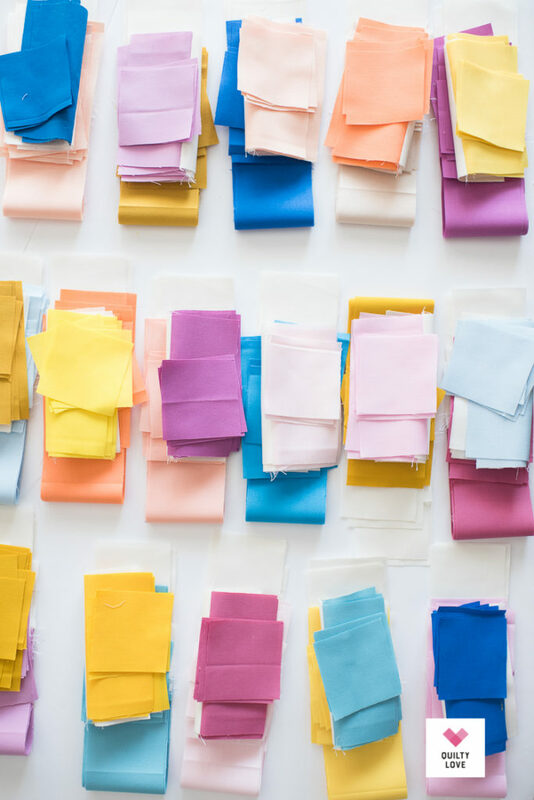 Find the Aura fabrics here. 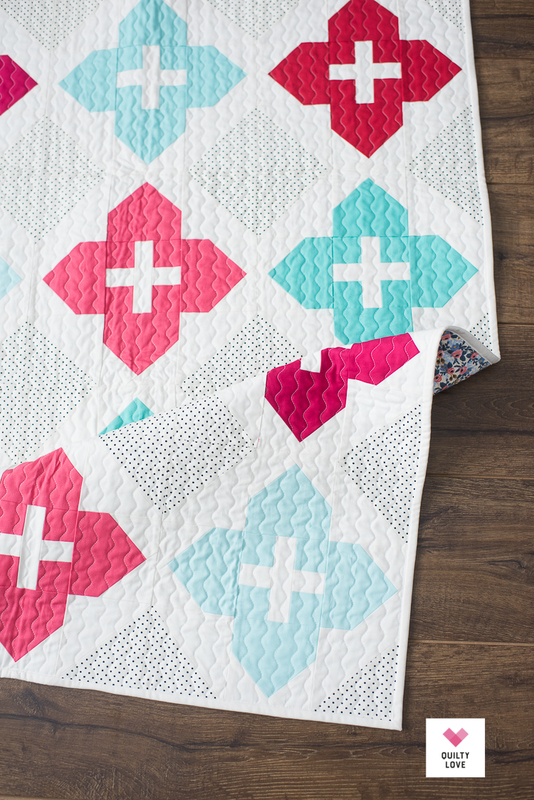 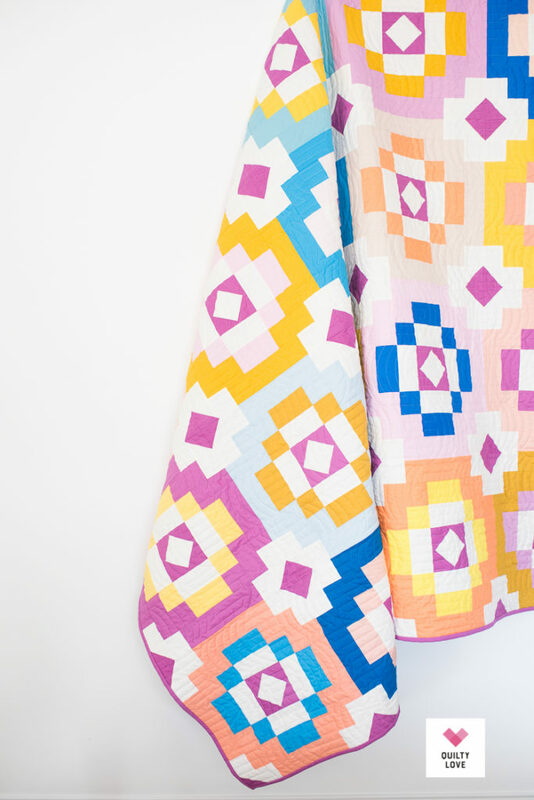 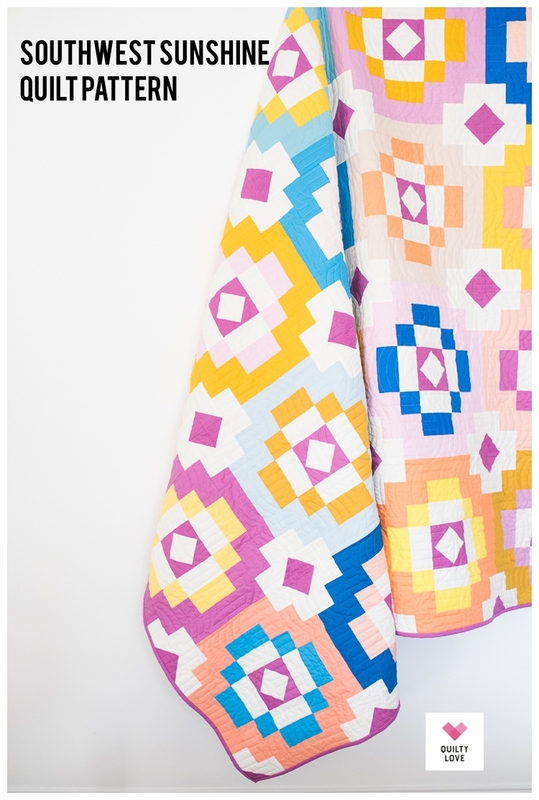 You can purchase the Triangle Pop quilt pattern in the shop. 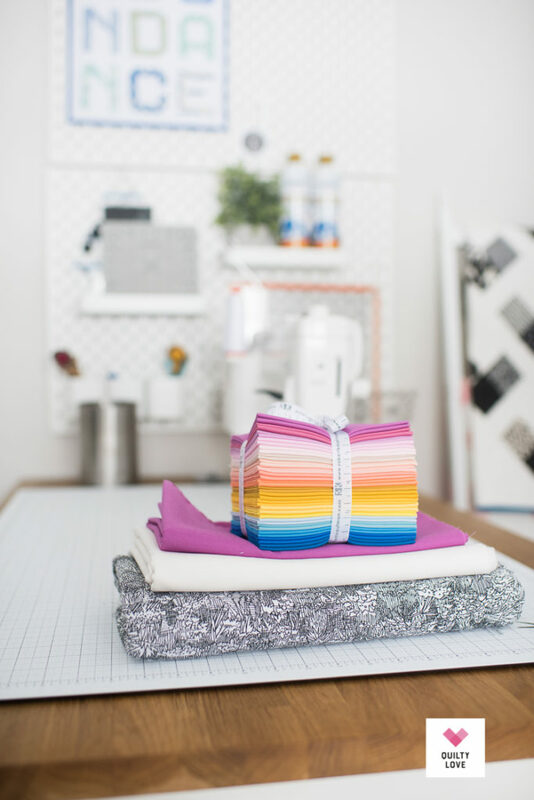 Check out the rest of the blog hop below!